Lately, it feels like Lamar Odom just never wins. 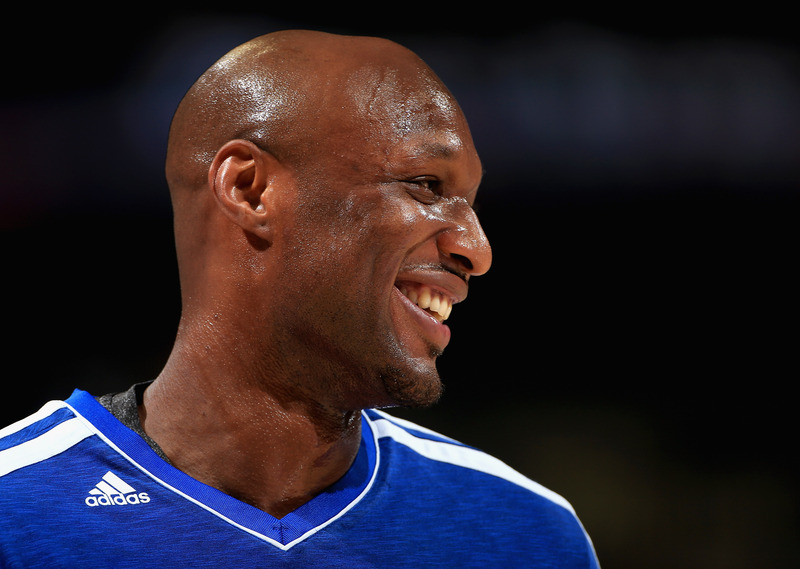 After a rough past year that involved fleeing from his family, going missing after spending one day in rehab, and his wife Khloe Kardashian filing for divorce, Odom has not been at the top of his game. And by that, I mean the game of life — but now it seems like we can add his actual basketball games as well. Us Weekly reports that Lamar Odom has been forced to quit his Spanish basketball team, Baskonia, due to a back injury, despite the fact that he signed with them just last month. Poor Lam Lam! While doctors are reportedly saying that the injury, Lumbar Radiculitis, will only require two months of recovery time, it's being speculated that Odom won't be returning to Spain at all when he's better — Odom only signed a two-month contract, which would be over by the time he's recovered. Weird how that worked out. Before his injury, Odom only had the opportunity to play two games while part of the Spanish basketball team, and only logged 23 minutes total during the time he was with them. Luckily, Odom doesn’t seem to be taking the injury too badly, claiming that his teammates have been quite understanding of his situation. And, on a more positive note (because we’re really hoping the grass is greener for him), with the contract that Odom signed with Baskonia, there’s a possibility that they can create an extension for another two months. That would be spectacular for his sake, considering it’s been struggle city for him.